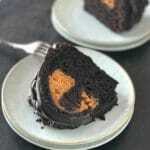 Pumpkin cream cheese bundt cake with the best chocolate glaze for bundt cake you’ll ever have. 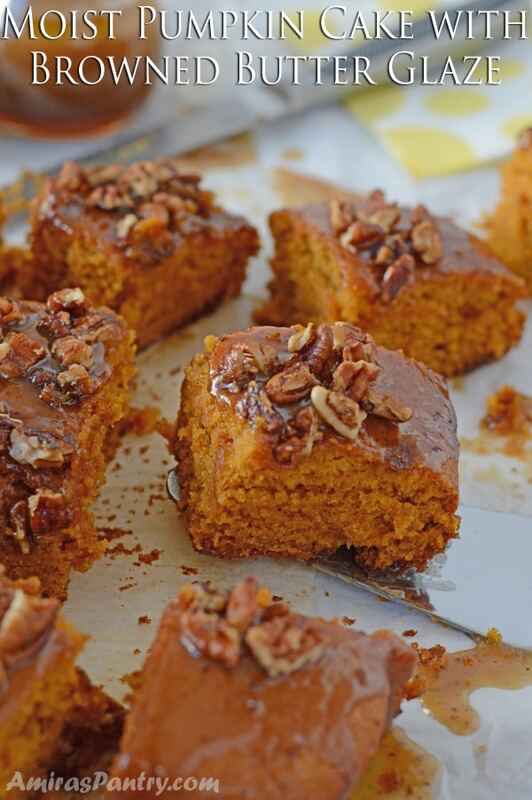 One of the best pumpkin dessert recipes that will actually seduce pumpkin haters. 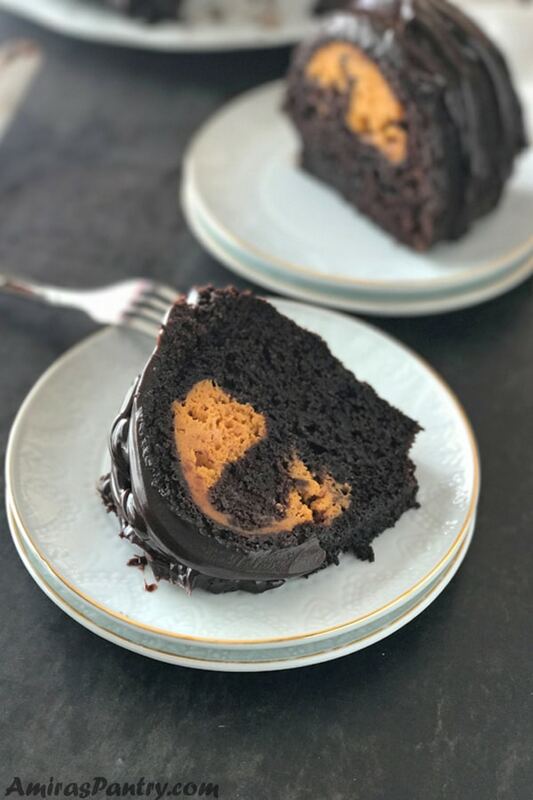 This is a moist, melt in your mouth kind of chocolate cake that has a real pumpkin cream cheese filling then top all that with finger licking chocolate glaze. I have a kid who does not only hate pumpkins, he might as will throw up if he suspected a pumpkin in something he eats!! Last week, my creative son was having a ” Greek Mythology” test, being from the Middle East we did not study such thing EVERRRR so it was something so new to me and I liked studying this with him. First conflict between us is the pronunciation of the names, I say zeeeeeeyoooooos and he said no mom it is “zooooos”, and that was just the beginning :). We reached a story of a girl who was about to be wed to a man, then a snake bite her and she died on the day of her wedding :(, what a story. Anyways, this man went somehow to the underworld and convinced the king there to let her come back with him, the king agreed on one condition that he will not look at her until they are up. Of course, this did not happen and the poor girl vanished again to join the dead. We were discussing morals of the story and I suggested probably you cannot change what is meant to be. Then all of a sudden he said ” Is it Haram ( kid of illegal in our religion) to bring back people from dead?”, I was stunned by the question as it never crossed my mind to even think about it. I said ” I really have no clue, nobody dared to do it before and I believe it is impossible to do so”. He then replied ” but is it haram to even try?”. I seriously have no answer to this question!! This reminded me of a creepy incident that happened to me 2 years ago, we were on a ladies gathering and there was that nice lady who said that she can ACTUALLY communicate with the dead and sometimes she acts like a psychic or a mediator between you and your deceased loved ones . . . Does this remind you of something…… yessss that movie . Ghost(1990). One of my friends suggested that she arranges such thing with our fathers and I immediately said NO WAY. I mean I love my father to the moon and back and I miss him so very much, but I have to confess I am a coward to even think about this. Speaking of creepy stuff, it is the Halloween season again and I really did not mean for that cake to look so HALLOWEEN-EY, but for some mysterious reasons it did . If you’ve been following for sometime, you know already that in my house, we do not celebrate Halloween. 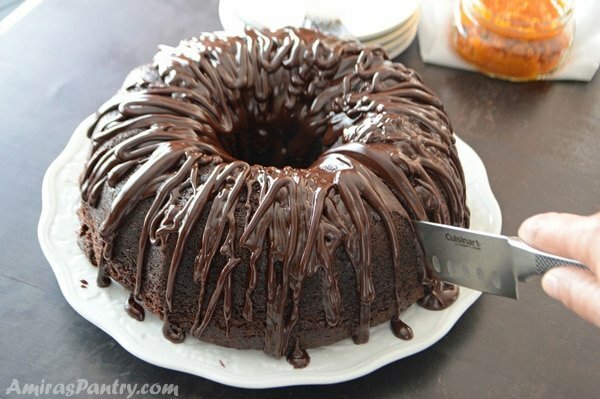 But if you do like to celebrate Halloween with a homemade cake, this cake is very suitable, top it with some Halloween candies and you are good to go trick-or-treating. So let’s do the details. Combine dry ingredients of the cake first. Flour, baking soda, baking powder, cocoa powder, salt and sugar. Add the oil and buttermilk then mix well. Add a cup of coffee and mix. 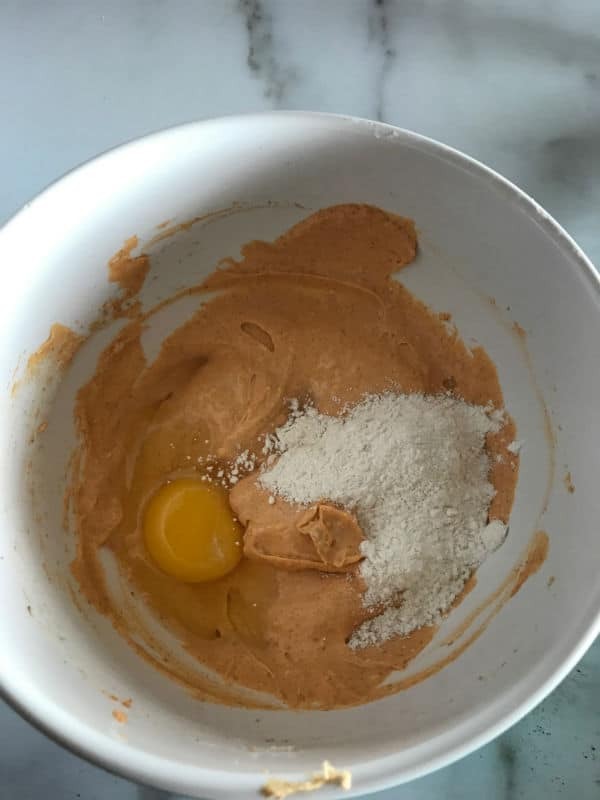 The batter will be very runny at this stage and you will probably think something is going wrong with the ingredients. Don’t worry it will bake up to a beautiful moist cake. So resist the temptation to add more flour. 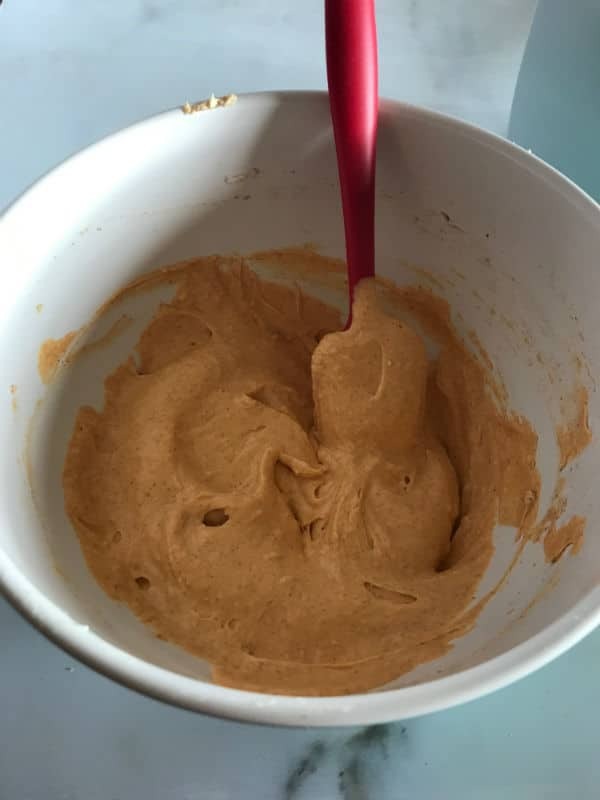 Now mix cream cheese, sugar, cinnamon and pumpkin puree. taste it and add pumpkin until you reach your desired flavor. I did not want to add more than half a cup as I do not want my pumpkin hater son to notice it that much. After the desired taste is reached add the egg and flour then mix well to combine. Now in a prepared bundt, add half the batter, then spoon the cream cheese filling trying to avoid sides. Top that with the remaining cake batter then make swirls on top using a knife or the back of a spoon. Bake and enjoy the smell filling your kitchen. 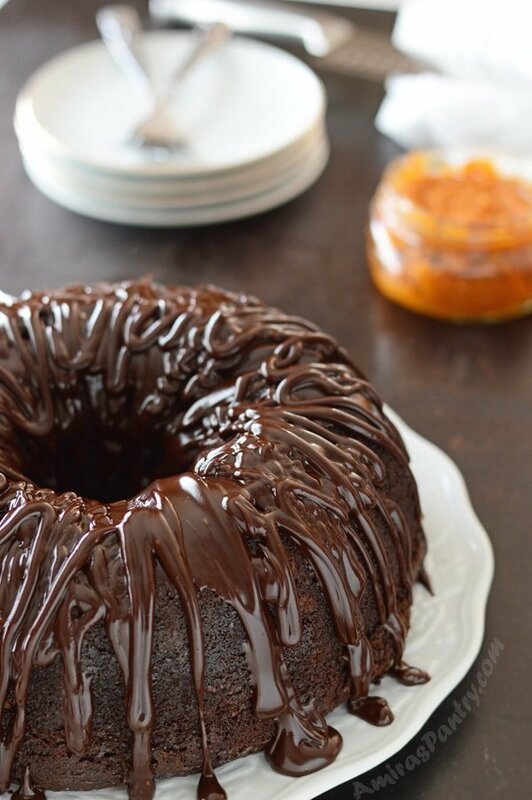 Finish it off with the amazingly delicious thick chocolate glaze…. so delicious. Now cut a big flat slice, grab a blanket aaaaand enjoy a your homemade dessert. 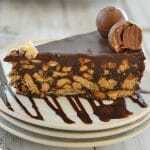 Enjoy with your friends and family, although I wouldn’t judge you if you did not want to share hehehehe. Watch my video on how to make it! 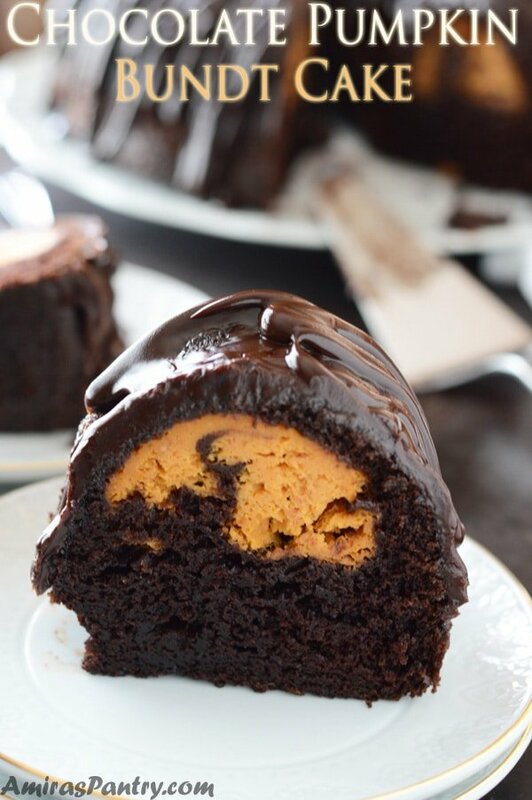 Chocolate bundt cake with pumpkin cream cheese filling. 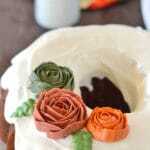 An amazingly moist chocolate cake with delicious pumpkin cream cheese filling. 1 8oz package of cream cheese, room temperature. 1 4oz semi sweet chocolate bar, chopped. 1 1/2 tablespoons corn syrup. 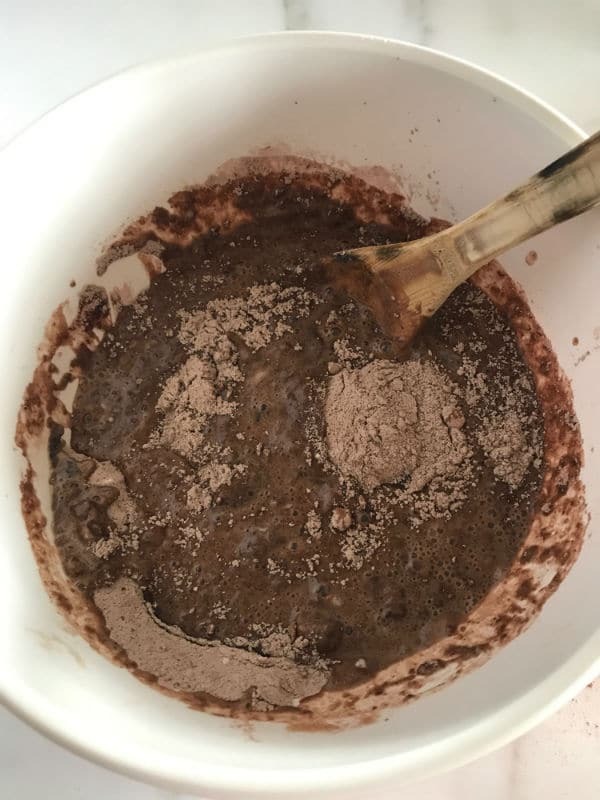 In a deep bowl, combine flour, salt, baking powder, baking soda, cocoa powder and sugar, mix well. Add oil, beaten eggs, milk and whisk. 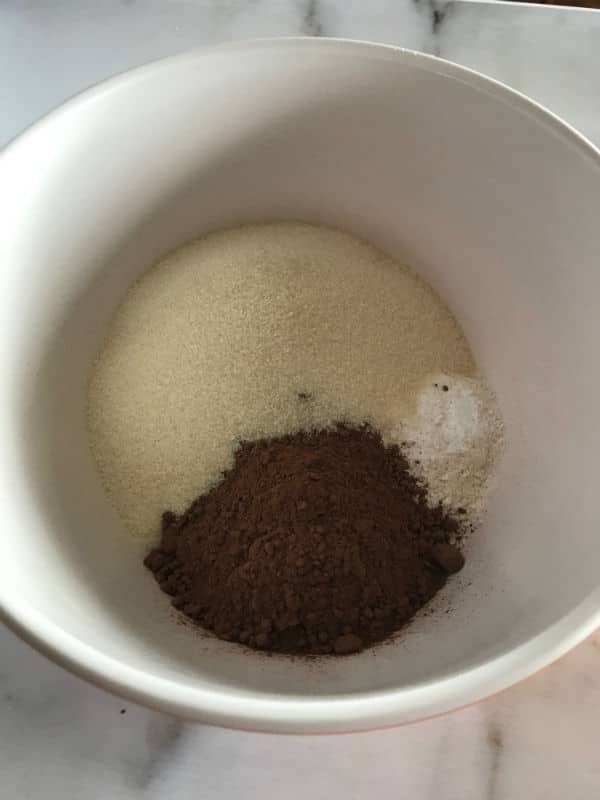 Add prepared coffee and mix again, you’ll get a watery batter and not thick on, it is ok do not add more flour. In a bowl, beat, cream cheese, sugar and cinnamon. Add the egg and flour then beat again. 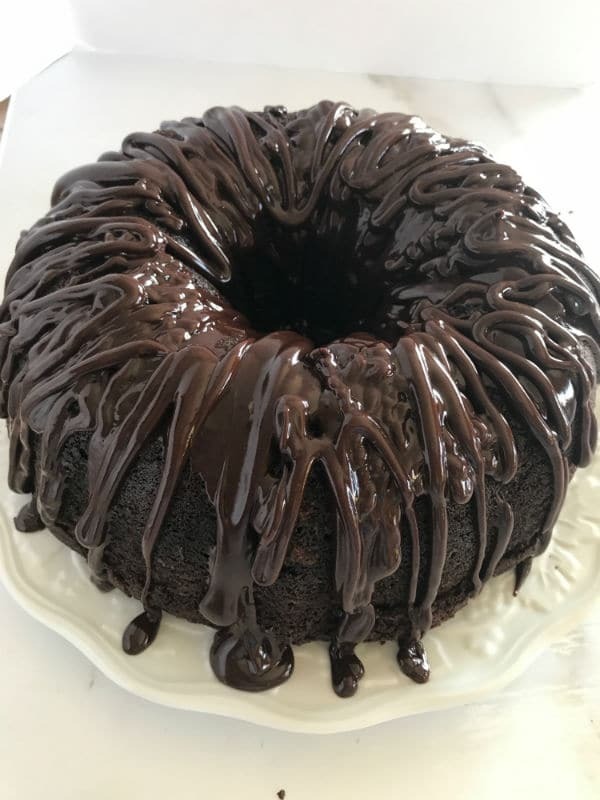 In a prepared bundt cake, add 1/2 of the batter then scoop up the cream cheese filling trying to avoid - as much as you can- touching the sides of the pan. 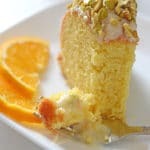 Pour the remaining batter and make swirls in the cake using a butter knife. Bake for 30-40 minutes until it is done or until a tooth pick inserted in the middle comes out clean. 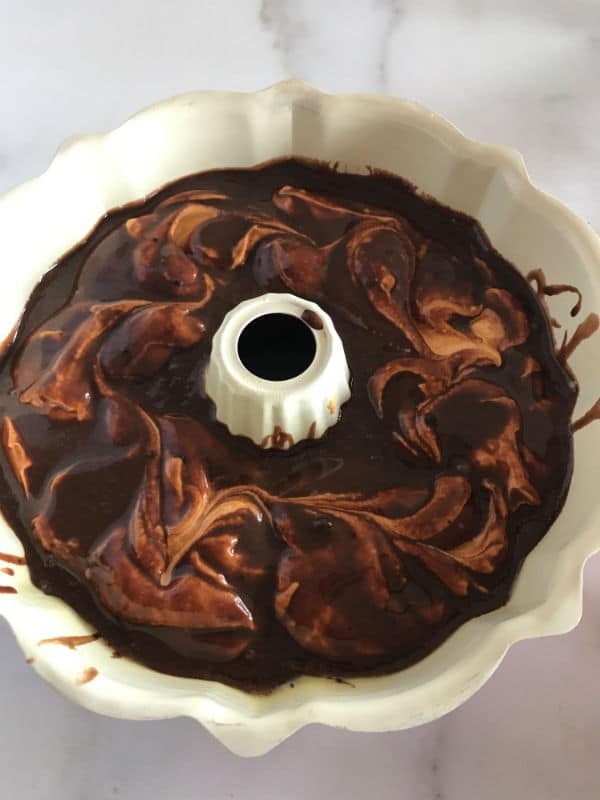 Take the cake out of the oven, leave it in the pan for 10 minutes then transfer it to a cooling rack to cool completely. 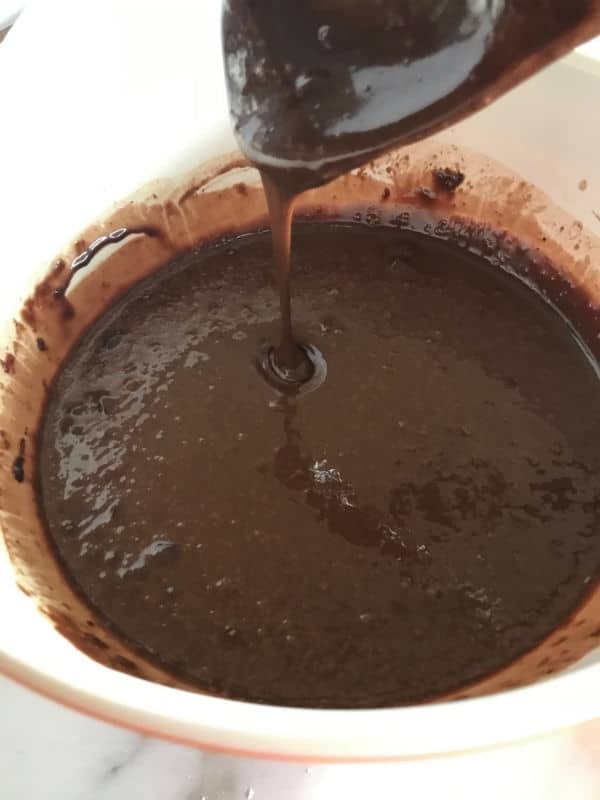 Place the chopped chocolate and corn syrup in a bowl and set aside. In a sauce pan over medium heat, add heavy cream and sugar. Stir until the sugar has completely dissolved and the mixture is hot. 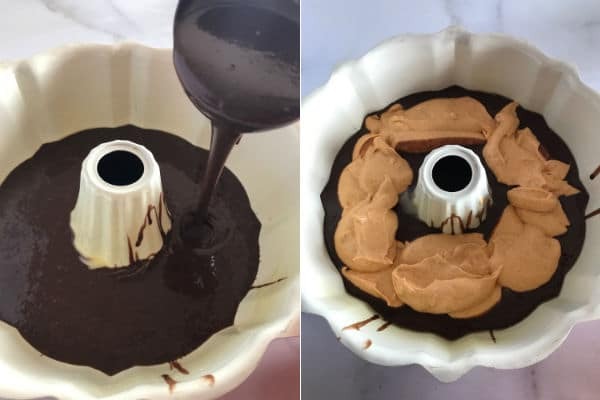 Pour over the chocolate and mix until smooth. cut into pieces and serve. Enjoy! * Make your own by combining 1 cup of milk and 1 tablespoon white vinegar. ** You can use 1 cup of your preferred brewed coffee. ** You can also use other spices like ground ginger, nut meg .. cloves. 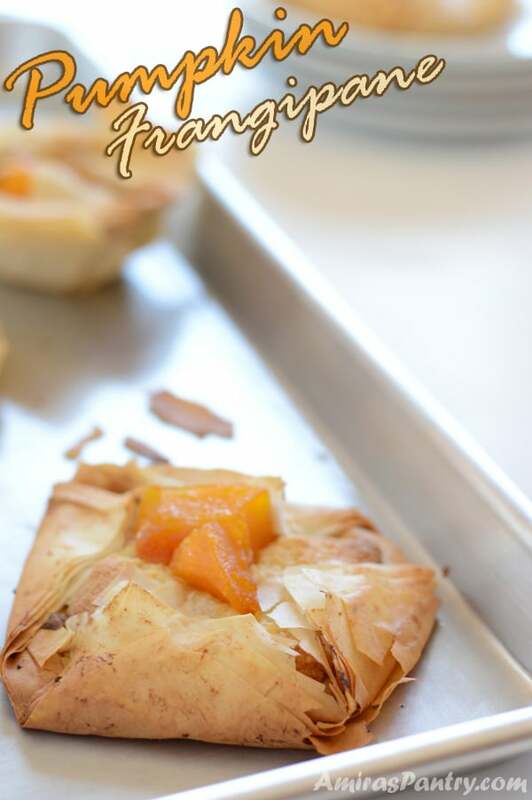 **** I kept adding pumpkin puree and taste the filling until I got to the good taste for my family which was 1/2 cup. I have a kid who does not like pumpkin at all so I did not want to overdo it. If it was for me I would’ve added the whole cup. ***** It is easier to for glaze through a squeeze bottle. This was a keeper, the pumpkin twist was so delicious. Thank you so much for your feedback, I appreciate it. Happy that you liked it. Wow, didn’t know you were a teacher, what a fun coincidence! In Egypt we were not taught such things so it is completely new to me. But as you said it is really fun. 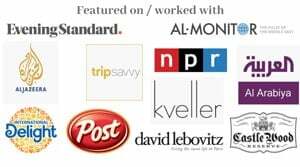 Thanks for stopping by David. Halloween or not-this cake is fabulous! I’m never sure I believe in ghosts, but then I’m never sure why! Hehehe Abbe, this is creepy I do not like even thinking about it :). But the cake is the only thing I am sure about 🙂 lovely and I hope you’ll try it soon.